E3 has come and gone for a little over a week now, and I’ve had a small chance to peek at the different games presented there. For those that don’t know what it is, it’s an exclusive, industry-only annual event for video game publishers to show off their upcoming games and merchandise related to the game. To apply to go, you have to verify you are a professional part of the video game industry. This year was just as big as any other year, with a wealth of different exhibitors, and of course there are a huge amount of games that look great and I can’t wait to get my hands on. Once again in my love-hate relationship with Ubisoft, we see some highly anticipated games such as the next installments of the Assassin’s Creed and Far Cry series, among other games. In Assassin’s Creed: Unity, we see ourselves in Paris in the French Revolution in what looks like a gorgeous new game engine, and for the first time we can complete missions in co-op with up to three friends. 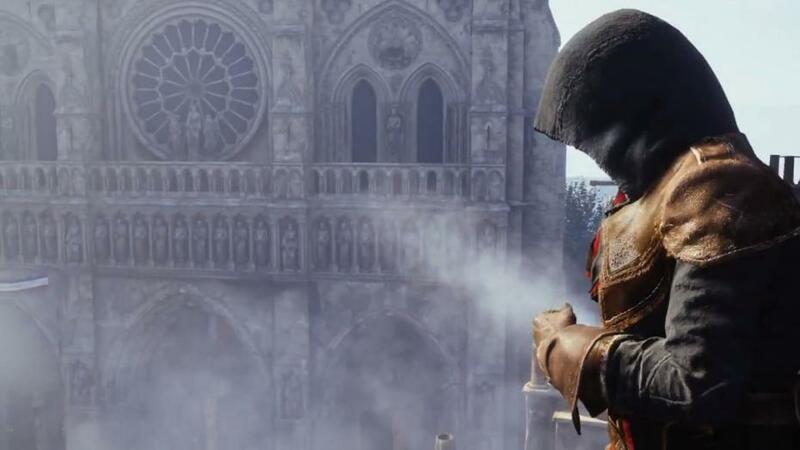 It looks exciting, and it’s another time of history to explore (I swear I learn more in Assassin’s Creed games than I did in history lessons), as well as the opportunity to explore Paris as it was in the Renaissance era. In Far Cry 4, we’re headed off to the Himalayas to help create some mayhem. I’ve yet to play around with Far Cry 3 as much as I keep on intending to play it (if only there were more hours in the day and I was less infatuated with Blizzard games and Dota) so I can’t really comment on how much the new game changes the franchise, but it looks amazing and as long as I don’t play the games on day one with Uplay’s infamous authentication servers, I should love these! Though with a late ’14 release, I’ll probably end up grabbing them in the Steam Christmas sale or something. Tom Clancy is back in Rainbow Six Siege too with a 5v5 Counterstrike-esque shooter of terrorists and counter-terrorists, playing matches over 6 rounds. EA brought us a bunch of games to look at this year, including Battlefield: Hardline, Dragon Age: Inquisition, The Sims 4 and their annual release of multiple sports games. Battlefield is based around cops vs criminals in this latest installment, and overall looks like a pretty solid FPS for people to get into and fight over which franchise is better for another year running. Dragon Age gives us more insight into the templar vs mages civil war, and from what I hear our choices will end up shaping the world to how we like. 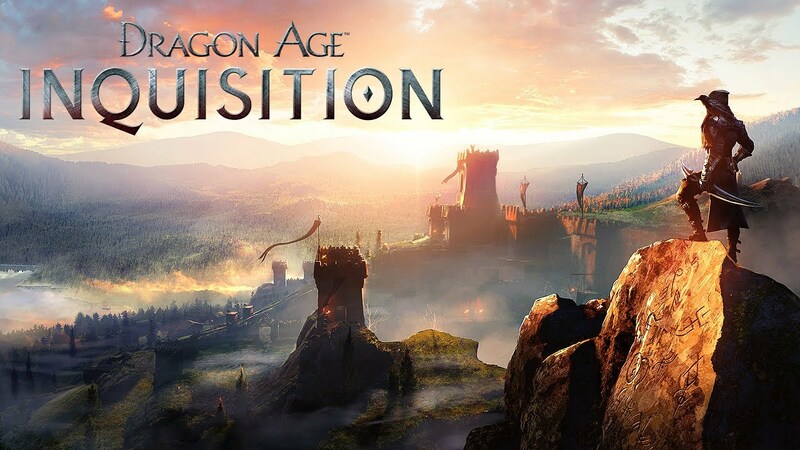 I’ve enjoyed both Dragon Age I and II, so hopefully the third installment won’t disappoint. As for The Sims 4 – and partly the sports games – it looks like EA are just milking the franchise with these. I might check out The Sims, as it’s a great casual game to just muck around in to play God on a micro scale (whereas Sim City and similar games are great for playing God on a macro scale). Plus, it’s always good to get the fresh revamp without having to plunge deep into your pockets to pick up all the expansions of the previous games. 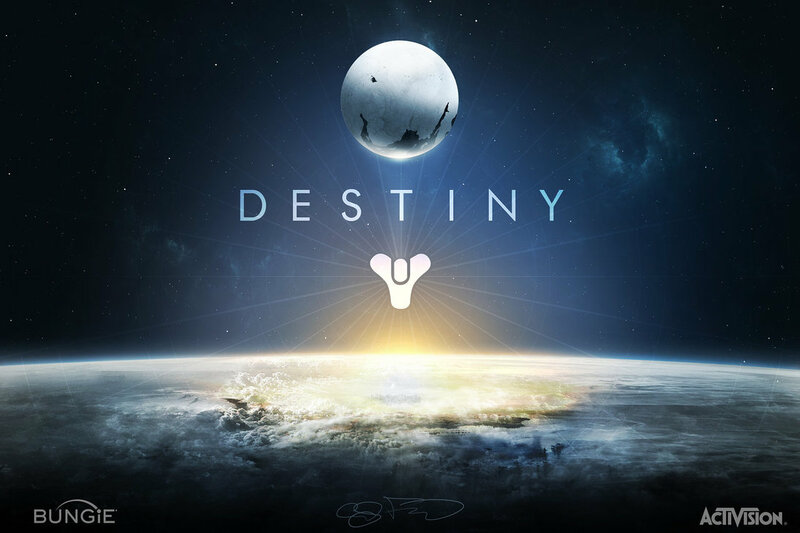 Destiny… I wouldn’t be able to finish this article without including the coalition between Activision and Bungie without talking at least a LITTLE bit about this fantastic looking game. Rumoured to be the reason why Project: Titan keeps on getting restarted over at Blizzard, this MMOFPS simply has too many reasons for me to list as to why I hope it doesn’t end up just being overhyped and crashing into the dirt. It even makes me consider getting either a PS4 or Xbox One just to play it on the latest systems. Time will tell! There’s so much other news, but these were my picks other than news of GTA V coming to PC soon with updated graphics and performance to match the clearly superior systems (picks up flame-retardant suit) and Nintendo are intending to come back strong with a Legend of Zelda update for the Wii U, showing massive open-world exploration that I’m sure will make many a veteran gamer’s heart jump a beat or two. Shame about it being on the Wii U though. Check out everything showcased this year at E3 Insider, or I’m sure you will find many more reviews at places like IGN and Gamespot. Plenty of things have happened this week! Not just in WoW, but many other things as well. 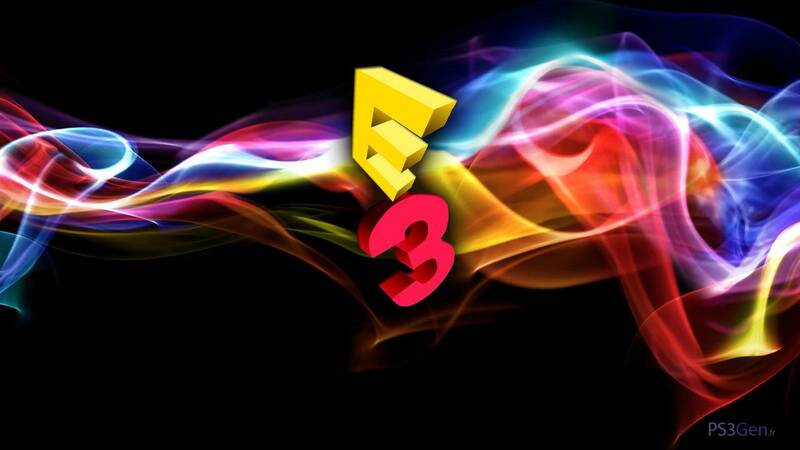 I’ll likely take a look at E3 next week when I’ve got a bit more opportunity to digest and look at everything that’s been shown, but even without E3 I’ve got plenty to talk about this week, and nowhere near enough space to write it! 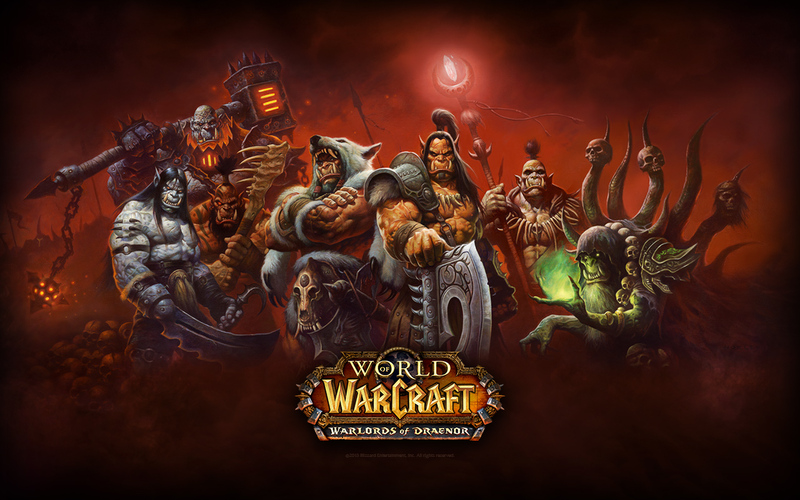 I was going to make this post about the alpha dropping in WoW, but really you’re better off checking out Wowhead News or MMO-C for far more in-depth updates on what’s happening, as it happens. Firstly, despite my best to try and avoid MOBAs until I get some kind of invite to Heroes of the Storm (as I know I’ll burnout of the genre once I do), I’ve been pulled back into Dota 2 as The International looms closer on July 18th-21st. In previous years, Valve has funded the total prize of $1.6m, with the grand prize being $1m, second place $250k, then the final $350k split between the remaining top 8 teams. Last year’s The International 3 (TI3) introduced the interactive compendium that detailed the events of The International and cataloged the progression of it, with 25% of the revenue made on it being added to Valve’s prize pool, making an outstanding $2,874,381 total prize pool – The International reclaimed its previous title as the largest prize pool in electronic sports history, exceeding the two million dollar prize pool from the League of Legends Season 2 World Championship. … This year however for TI4, the compendium got re-introduced, with many more incentives for crowd-sourcing this time around and as of writing this article, today we saw the prize pool reach over $9.2m, with another 6 weeks until the finals themselves. Even if no more compendiums are purchased, the first prize would be over $5.75m if previous patterns follow… Brb rerolling pro-gamer. In terms of WoW, with another week of no trinket luck (one day, Immerseus… One day… And even you Dark Shamans) I’ve decided to get the alt itch in an entirely new class that I’ve never really alt’ed on a serious basis before. While I was going to go back to the nostalgia of TBC days and turn my Shaman back into Enhancement for the end of the expansion, I decided that I’d try and get my Warlock some green fire, before it turns into a Feat of Strength and I accidentally level him next expansion or something. I logged in on him, and realised why he was one of my lesser played alts: Weapon was 450 iLvl until I gave him Garrosh’s heirloom staff, and his trinkets were 325 and 414 iLvls… Amongst other pieces of gear that was easily replaced by Timeless Isle pieces. Needless to say I have no idea what the heck happened there, but over the past week I’ve managed to sort out his gear, and although he’s still using a 419 ring and a 476 fail bag trinket from Mogu’shan, he’s now overall 506 iLvl with some luck from Celestial bosses and Ordos, alongside upgrading his trinket to the Isle of Thunder reputation reward. In that one item, his overall item level jumped from 487 up to 502, and I only wish I had more time to go through LFR this week on him to get some more. 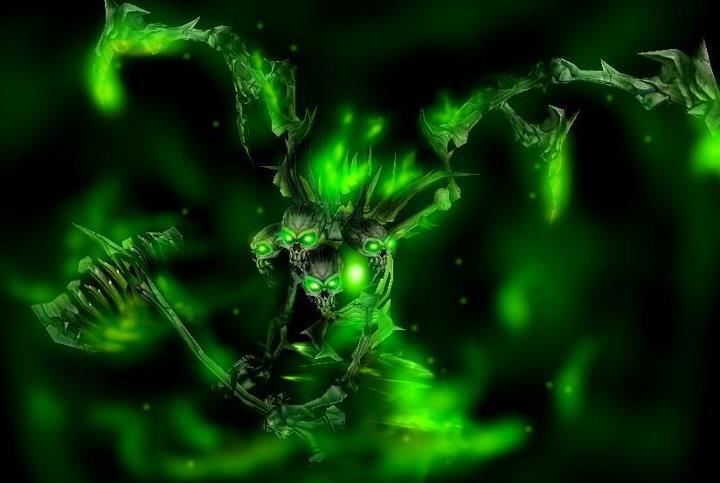 Regardless, my plan for next week on him is to go for a round of SoO LFR to mop up any loot he can, and now I’ve gotten the book for the green fire quest, will begin on what I hear is one of the best solo experiences this game has to offer! I was going to write up a review for each episode of these as they were coming out, but as the initial episodes began to roll out, I have to admit I wasn’t really that impressed with how the webseries progressed. Nevertheless I continued watching because that’s what reality TV does in its odd allure despite being so corny. If you don’t know what the hell I’m talking about, Azeroth Choppers is a webseries coalition between Blizzard Entertainment and Paul Jr. Designs on creating two choppers, one for Horde and one for Alliance to create epic motorcycles that will exist not just in real life, but after a vote the winning chopper will become a mount in Warlords of Draenor. Whichever bike wins will be faction-specific and the other faction will not have access to it (although I’m guessing that the losing bike will be available at a later date, either through the BlizzStore or otherwise) so there will be a lot of faction pride to compete for the winning bike. All 8 episodes are out, and you can watch the final episode at the bottom of this post or watch the entire series here – if you don’t want to be spoiled stop reading now and follow that link… And then come straight back here! For the first few episodes, many people were frankly taking the piss out of the series: 10 minute episodes were filled mostly with “Last time on Azeroth Choppers… Next time on Azeroth Choppers!” as well as the corny cliffhanger in the first episode of “We’ve got some good news and some bad news” following up by explaining that the good news is that they love the bike designs… And then left the bad news to be explained in the next episode. Which of course happened a few minutes into episode two as the first section was showing what happened previously on Azeroth Choppers. In episode three, one of the new guys on team Alliance threw the flux out that was needed for some kind of metallurgy thing that I didn’t really understand and could have had more explaining than protecting aluminium from contaminants when welding. On Hordeside, reality show hit them with one of their team members having to leave for a family emergency… That ended up being for the rest of the webseries. I hope his family’s ok of course, but with what we’d seen so far in the first three episodes it just screamed like it was tacked on for entertainment value. Personally, I found more entertainment in finding out more about building bikes, and what goes on behind the scenes at Blizzard development, both of which aired about a minute’s worth of footage in this episode in total. Episode 4 opened with Paul Jr. inviting Blizzard to New York to see the bikes in person, essentially buying them a bit more time to build the bikes a little more to show Blizzard something. Cue players complaining that these top developers are wasting time going to New York instead of working on Warlords alpha releasing. After some footage of the bikes beginning to take a bit of shape, the latter half of the episode involved Blizzard reinvigorating some morale by allowing the bike teams to play some WoW, including a Stormstout Brewery run as well as some arena. Cue players complaining that if the time frame was so short and impossible, then why are they playing WoW instead of working on the bikes. Although it was amusing to watch these bike engineers having to use two hands to work WASD. It was only until episode 5 that Blizzard got to New York to check out the bikes however, and we finally got some insights into more of the design of building the bikes more than just the core skeleton. Metzen and Didier didn’t come along with them, after all they are needed in California… But these two guys are the original Warcraft artists and, if anyone, are the main guys who would know the true core of the artistic style of the Horde and Alliance. However, they put their trust into their team mates and sent them to New York – Alliance mentioned that their bike was beginning to look a bit Nerubian, a bit like a beetle instead of a true Alliance steed. Horde on the other hand was already beginning to look like the spirit of the Horde and clear contender to be the winner. It’s really from episode 5 onwards, once Blizzard added their creative input that the webseries actually became much less reality TV and much more interesting in terms of finding out more about how bikes are created, and in episode 6 we see how mounts are created in World of Warcraft itself, using a recently added model like the Sky Golem as an example. While the bikes won’t be bipedal like the Sky Golem, it was still interesting to see how the skeleton frame of the mounts interacted with animations and particles such as smoke or fire (or bubbles underwater), as well as finding out that to begin with every face of the model is flattened out and textured beforehand. The final part of episode 6 involved building the handlebars, which for both factions looked absolutely fantastic with chains for the Horde, and sword blades for the Alliance, before taking apart the bikes for painting. Reality TV struck again at the end of episode 6 however, with an argument between Paul Jr. and the chopper captain for Team Alliance having an argument about building a front fender on the Alliance bike. Even before episode 8 aired, I could easily see the Horde bike winning hands down. Plenty of Alliance people were saying that although they were Alliance, they still had to vote Horde being the better chopper, plus even though that Alliance still outnumber the Horde in terms of players and characters, I have to say that Horde players are far more interactive with events that happen outside of the game, and present so much more faction pride than Alliance do. Whenever Blizzard employees ask the crowd for faction pride, it’s always the Horde that cheer louder than Alliance. Plus, as always “For the Horde!” has always sounded far more epic than “For the Alliance!”. Final spoiler warning for the entire series, so you can’t say you haven’t been warned about being spoiled on who gets their chopper in Warlords of Draenor, the Horde won a landslide victory with more votes in all three major regions over the Alliance. As reward, Horde players get their chopper absolutely free in the next expansion. At the moment, the Alliance chopper won’t be making an appearance in the game, and Alliance players will have to level a Horde character to at least level 20 to see the awesome bike. If you’re interested in watching some more bike-building and less of the reality show footage, check out both the Horde and the Alliance behind-the-scenes footage. Overall, I think Azeroth Choppers was an interesting foray for Blizzard to get into, and I don’t know if it makes anyone who was interested in bikes suddenly become interested into playing WoW but it was certainly fun to watch, though cringe-worthy at times. I’m not going to complain that time spent on doing this could have been spent on getting Warlords out faster, because at the end of the day the important people involved didn’t have too much time taken away from developing the next expansion – it was mainly focused on the guys at Paul Jr. Designs and offered us some insight into how the game is developed otherwise.